1. 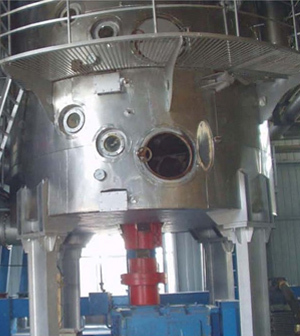 Desolventizer-toaster-dryer-cooling is the major equipment of desolventizing system in oil extraction workshop, which can remove solvent and water in wet meal. 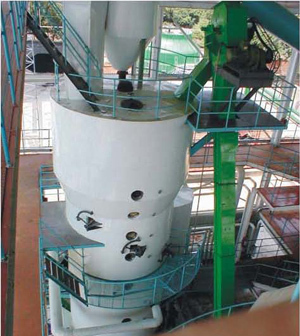 AGICO's desolventizer-toaster is applied to soybean meal, cottonseed meal and rapeseed meal etc. 2. Perfect function. The wet meal will be direct packed after it is desolventized, toasted, dried and cooled. 3. The desolventizer-toaster combines with drying and cooling with simple operation. 4. With less solvent in the meal, the moisture can be controlled effectively. 5. Less degeneration of protein, high quality and fine graininess, less steam consumption, high utilization rate of energy and remarkable energy-saving effect. With many years' practical experience, we have dedicated in supplying and exporting complete oil mill plants, solvent extraction plant,oil refinery plant, oil filing plant and other related oil equipments to various countries and regions of the world. AGICO is your authetic source for oil mill equipment, oil extraction machinery etc.